Valentia Skin Care products have been formulated with natural and organic cosmetic ingredients that will repair and protect the skin. 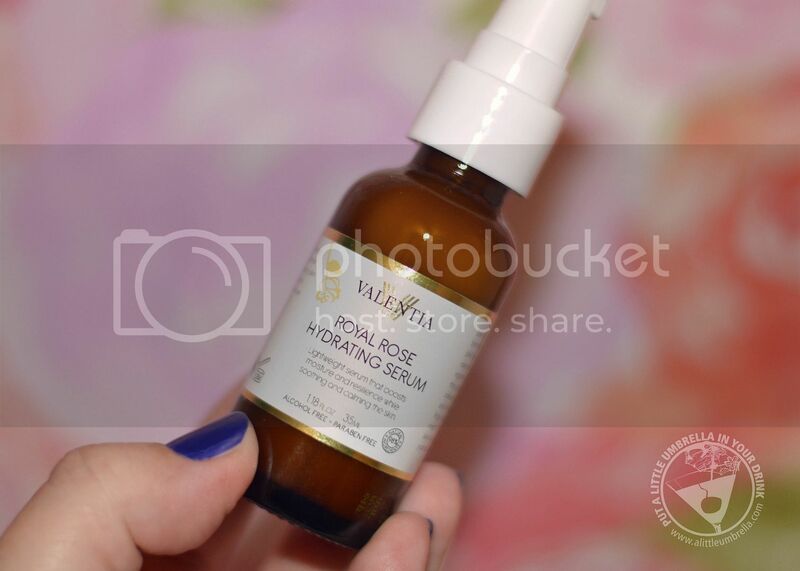 Valentia Royal Rose Hydrating Serum is a lightweight serum that boosts moisture and resilience while soothing and calming the skin. This hydrating serum contains plenty of essential rose oil, a miracle worker for those with sensitive, dry, or mature skin. This rose oil comes from the beautifully fragrant Rose Damascena. It is infused with a variety of essential vitamins and minerals to provide balance and moisture to the skin. Use this hydrating and nourishing serum to deeply moisturize skin, provide antioxidant protection, soothe and nourish dry skin, smooth skin tone and texture, and boost skin radiance. It is truly a wonderful multi-tasker. It smells great, absorbs quickly, and leaves your skin feeling hydrated without feeling heavy or sticky. I love the inclusion of Vitamin B as well, which has been clinically proven to fade away hyper-pigmentation, sun spots, and acne. It also contains lavender which can heal the skin, treat pimples, wounds, and sores. To use, apply 1-2 pumps evenly to face and neck each evening after cleansing skin thoroughly. 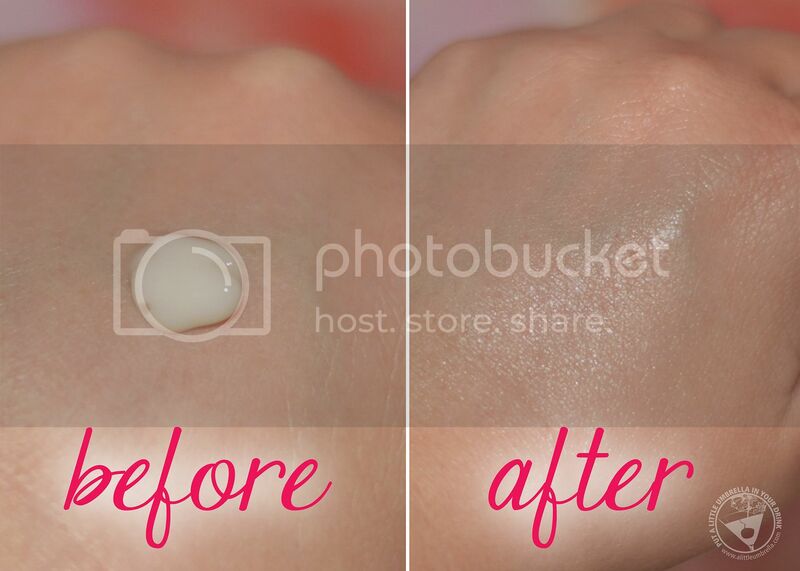 After absorption, follow with moisturizer and eye product of your choice. Connect :: To learn more about Royal Rose Hydrating Serum, visit valentia.com. 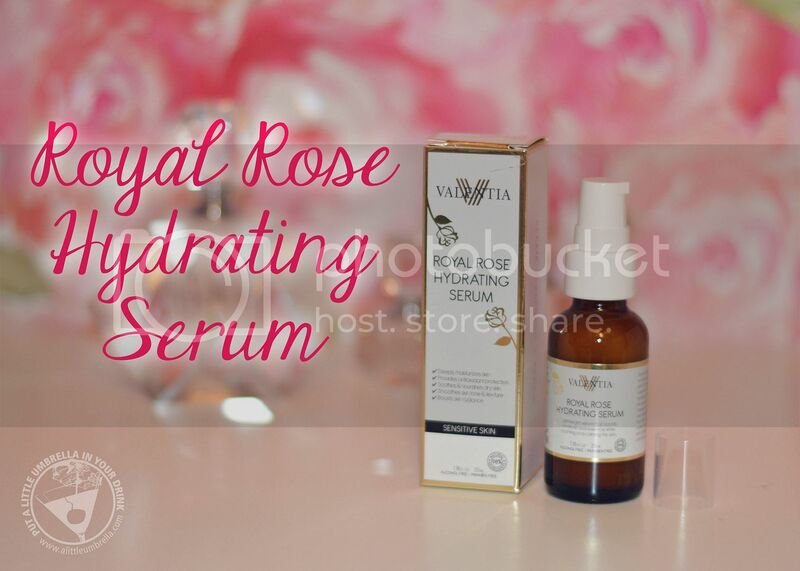 Buy It :: You can purchase Royal Rose Hydrating Serum for $35.